Firefighters attended a suspicious fire which destroyed a house on Mangatarere Valley Rd, near Carrington in rural Carterton on Wednesday night. 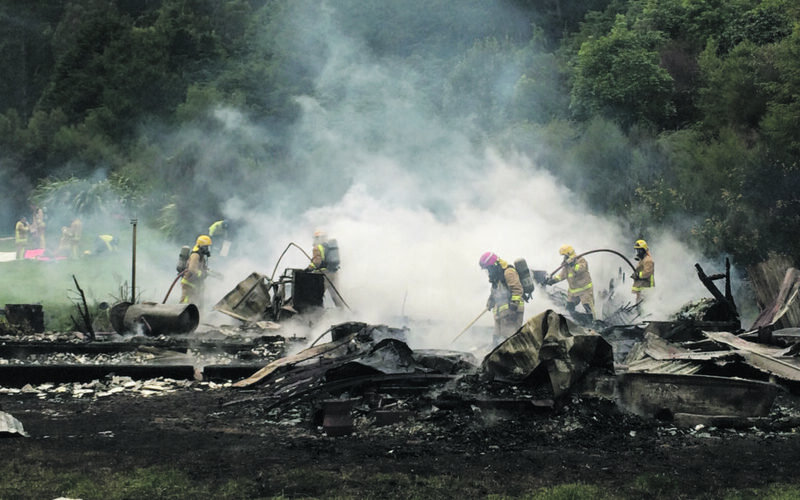 No one was inside the house, which was a converted railway carriage with added structures, when the blaze was discovered by the owner who lived nearby. Police and a fire investigator are making inquiries into the fire, which was reported around 5.30pm. Carterton fire chief Bryan Styles said the property was destroyed by the time firefighters arrived. Firefighters worked for a few hours dampening down the wreckage before predicted strong winds picked up. Two fire trucks and a tanker doused the hotspots with water taken from the Mangatarere stream.